Evernote and I have had some great times, but I’m afraid it’s time to officially end our relationship. Things started out great. As a Web junkie, I needed a place to store my finds — copies of license keys, handwritten notes at conferences, business cards, and the screenshot proof that I did indeed get @ mentioned once in a comment by MC Hammer on Twitter. We used to live in a world where applications did one thing really well. You were one of them. You indexed notes, bookmarks, and just about anything else I could throw at you as well as anyone in the game. Now, quality be damned, applications — yourself included — seem hell-bent on shoving as many features into a product as possible all in the name of convergence. In short, consumers tend to be migrating to apps that do all things poorly rather than doing some things really, really well. This is the mentality that started our spiral into the sorry state of affairs that has come to define our relationship. Your insecurity has become a burden. The things that drew millions of users were forgotten while you continually chased the next big thing. Instead of focusing on what made you great, you allowed your core values to lapse and along the way you lost your identity. 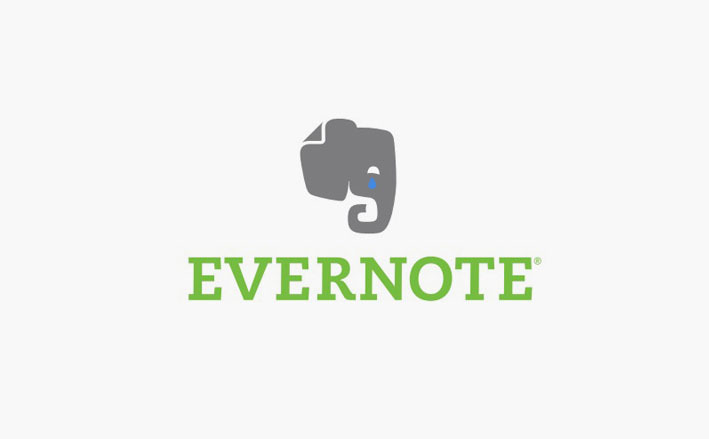 Skitch, Scannable and Food were all great products, but why aren’t these part of the core functionality of Evernote rather than operating as friendly but distinct personalities within the brand? Then there’s the performance issues. I’m not into size shaming, but if I’m being honest, your weight became a problem for me. You were slower, bloated and less capable of doing the things we once did so well together. I’d be less concerned if this weight furthered your goal toward becoming the greatest note taking app on the market, but it seems that your superfluous feature releases have done nothing to make our lives easier. Instead, they’re plainly talking points to attract more subscribers. I am was a power user. I had thousands of notes perfectly categorized, tagged and formatted for easy retrieval whenever I needed. The thing is, you have become much better at storing images than you are at retrieving them. If I — someone who carefully crafted each tag and spent an exorbitant amount of time organizing notes into notebooks — can’t find things, then who can? When you did manage to retrieve my notes, the process was slow, frustrating and often times counterintuitive. Your search feature is so bad it can’t even tell the difference between Batman and batting average. Remember that one time you stored the recipe for the Buffalo chicken dip that singlehandedly made me the hero of the Super Bowl party? Yeah, me too. Those were good times. I tried finding that recipe recently. I couldn’t. If that weren’t bad enough, there are trust issues to boot. I can’t commit to you if I can’t trust you to keep the things I give you. Syncing is a slow, often painful process and unlike my new muse — Notes — I can’t rely on you to quickly or reliably store notes so that they remain accessible on other devices. The straw that broke the camel’s back came when I spent hours researching a story, saved all of this information from my laptop before bed and was utterly devastated when I was sans-laptop and trying to access this information from my phone only to find that it wasn’t available. A quick check of my laptop when I returned home revealed that it was indeed available on the desktop client, but it was still syncing… 9 hours later! At this point it’s like you live to disappoint me. I’m not alone in my troubles, either. It seems many of your biggest advocates have now become your most vocal critics. Jason Kincaid may have said it best. Other personalities in the tech world agree that the growing issues with reliability, bloat and just an overall decrease from the quality we had come to expect from you are becoming a problem we can no longer overlook. Your fans are jumping ship en masse. @nixtweet Evernote just takes too many taps to use, to search, to exit from searching! Pop-up ads…overkill! In a popular piece by Syrah founder Josh Dickinson, he even coined you “the first dead unicorn,” a distinction I have difficulty disagreeing with. I’ve remained loyal throughout the years save for the occasional foray into services like OneNote, Google Keep, and Apple Notes. In hindsight, I haven’t been all that faithful. Infidelity aside, I’ve always come back – until now. While you grow more “feature-rich” by the day, others are quickly taking your place by offering the same core functionality that we once loved you for. Apple Notes in El Capitan and iOS 9 is amazing. Dropbox has an impressive new contender called Paper. Google Keep is rock solid. There are just too many choices out there to keep coming back to a relationship that I know in my heart is doomed. I’m sorry, but in this case it’s not me; it’s you. Maybe it’s not your fault, but this time I mean it; it’s over.